Ivan Brandon and Nic Klein are on to something with their new science-fiction series Drifter. The tale sketches the tale of an abandoned, lawless town in a strange and alien landscape. And now the third issue of this hit new series will have a sinister variant cover by Marko Djurdjević, ready to pass judgment on those who have yet to make the jump. 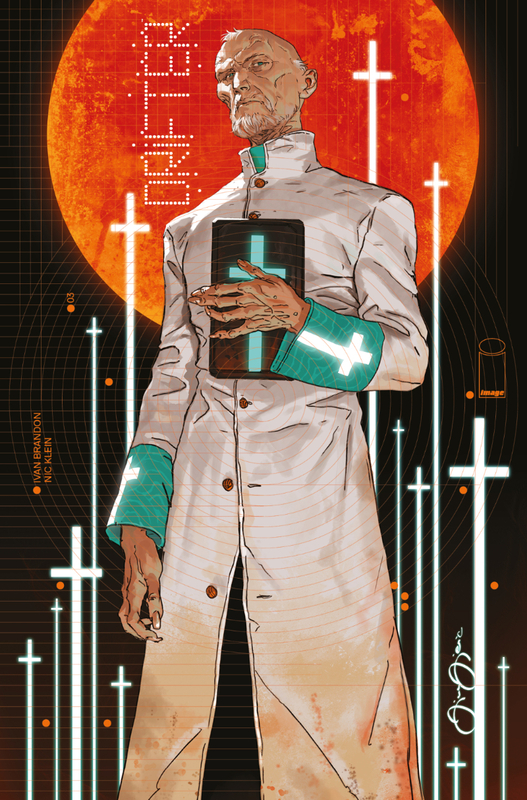 In Drifter #3, Abram Pollux heads deep below the surface while on his quest for revenge. There he discovers that humans are not the dominant life form on Ouro. Drifter #3 will be available on January 21. Cover A by Klein can be pre-ordered with Diamond Code NOV140649. Cover B by Djurdjević can be pre-ordered with Diamond Code NOV140650. Drifter #1, second printing is still available with Diamond Code OCT148057. Drifter #2 Cover A by Klein will be available on December 17 with Diamond Code OCT140736, Cover B by Cloonan will be available with Diamond Code OCT140737.